Color, 2003, 73 mins. 31 secs. 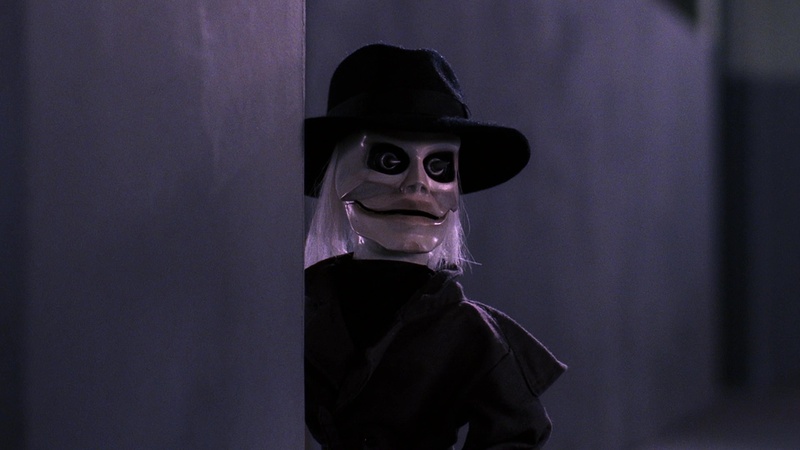 Most horror movie series tend to go to some pretty odd places by the time they hit their eighth entry, and the long-running Puppet Master series definitely fits the formula with Puppet Master: The Legacy. If you remember sitcoms from the '80s and '90s, it was common every season or two for the characters to all sit around a kitchen or living room reminiscing for a couple of minutes or so about things they'd been through together, with the rest of the episode padded out with tons of recycled flashback footage. Well, here you get a Full Moon spin on that idea with some of the previous Puppet Master outings sliced and diced into a new, easily digestible package. While scouring the familiar Bodega Bay Inn for clues about how Andre Toulon imbued his puppets with life, Maclain (Orsini) discovers someone else on the premises: Eric (Witkin), who's lurking in the basement with the surviving members of Toulon's (sometimes) homicidal puppet troupe. 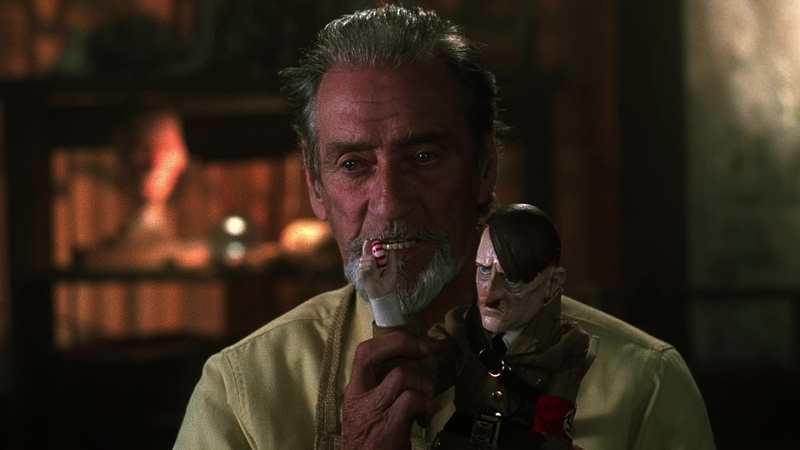 Eric himself has a secret connected to the past films, and via his own stories and recordings of Toulon's experiences, he recounts the history of the puppets from their early days with the young puppet creator through the dark days of World War II and all the way to the events that would give way to the first and second films. Along the way they share conflicting opinions about Toulon's secret and his morality, as well as that of his creations who have evolved considerably over the years. 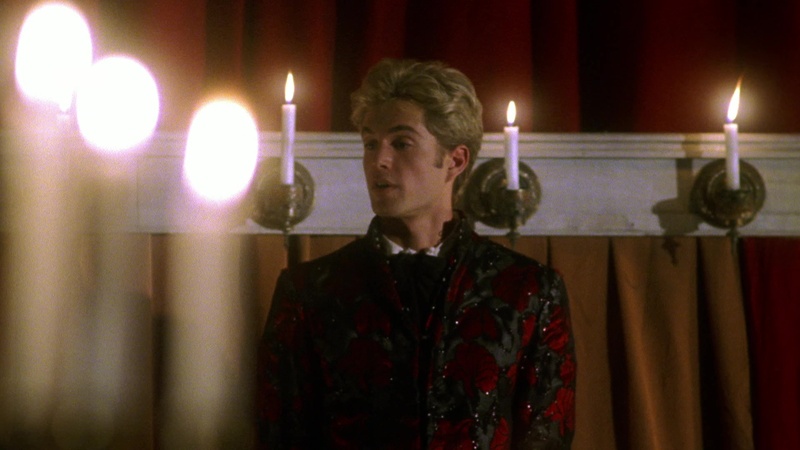 Sent straight to DVD by Full Moon in 2003 under its Shadow Entertainment sub-banner, Puppet Master: The Legacy is obviously not the strongest installment in the series and, according to many fans, doesn't even qualify as a bona fide movie. It's a divisive one to be sure, cobbling together highlights from the previous series entries into a framework that must have taken a weekend to shoot. The exact authorship of the film is a bit fuzzy as well, with Full Moon founder Charles Band credited here as "Robert Talbot" and writing credits split between David Schmoeller (presumably for his work on the original film) and additional material by C. Courtney Joyner as "Gene Yarbrough." 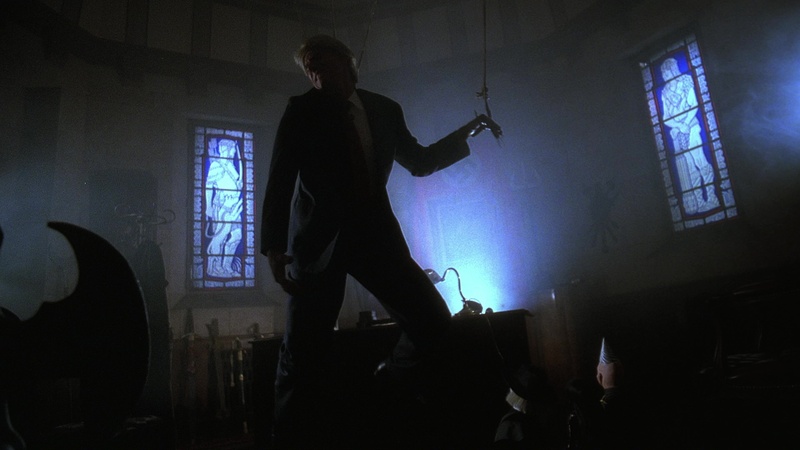 It's a little confounding if you haven't been following the series at least up to the fifth film, to which this is a direct sequel, with a huge number of plot elements culled from one of the series' best films, Puppet Master III: Toulon's Revenge. If you know what you're getting into and feel like a whirlwind tour through the series with a bit of two-character linking material pulling it all together, this one works as an amusing time killer; however, it's also easy to see how fans who didn't know what it was felt more than a bit gypped when they realized they'd paid for what amounts to a fast-paced greatest hits package. The main feature on Full Moon's 2017 Blu-ray release opens with a disclaimer that the film is presented "totally uncut in HD using the original 35mm negative but, due to the fact that some of the negative was lost over time, the original SD release and Digi-beta videotape master were also used in order to fully restore the film." What that translates to is that all of the footage from the relevant prior films in the series appears to be culled from those superior HD transfers, while the framing footage exclusive to this film is bumped up from an SD source and, obviously, looks vastly inferior. The main extra here is the archival promo "No Strings Attached" (7m11s), with Band and the cast and crew of the first film shown at work creating the genesis for the whole series. Also included are bonus trailers for Evil Bong 666, Ravenwolf Towers, eight additional Puppet Master titles, and Specters. Reviewed on November 6, 2017.